I guess I should just get right into it. It's not great news if you've been waiting forever for EtoEto (as many of you have been), but I wanted to give you a very straightforward explanation on where EtoEto is at and the direction it's now moving in. Things have changed quite a bit. Then what's changing and how it will affect when we get stuff done and published for you all. Originally (and still even now), we had TextFugu. 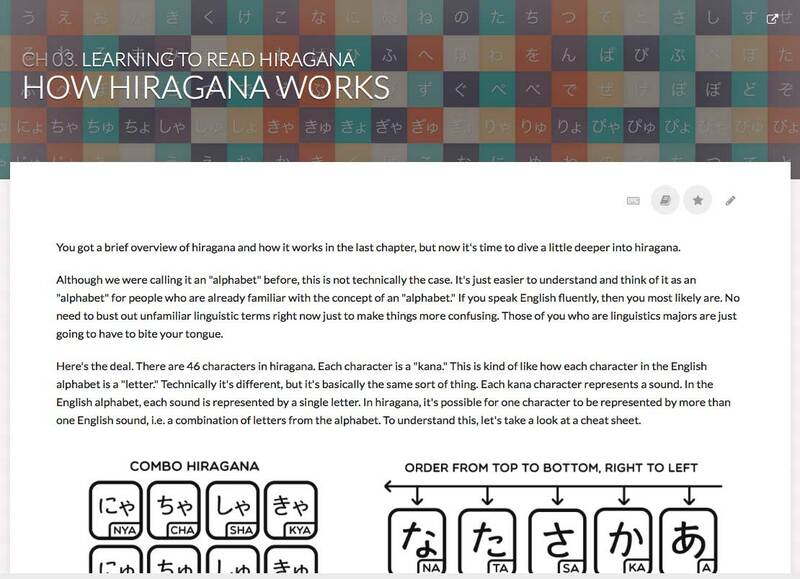 When I first wrote and made TextFugu a long time ago, it was pretty innovative, simply because it was 2010 and it was a Japanese textbook that lived on the internet. What simple times. Today, that's not so impressive. If a textbook isn't available on the internet, it's considered backwards. Of course, I wanted to update TextFugu to keep up with the times. This was "EtoEto," which many of you already have access to (in alpha form). The plan was I would rewrite TextFugu from scratch, with better ordering, better explanations, and better/updated teaching methods. It also had some new bells and whistles, like Q&A, improved audio support, a prettier design, and a new backend that wasn't hacked together like a ball of tepid garbage. In the end, though, this "new" EtoEto was only incrementally better than TextFugu, though better in every way it was. That being said, last year I became increasingly concerned that this version of EtoEto wasn't actually that much better than anything else out there. I believe it would have been somewhat better, but not ten, twenty, or a hundred times better. That's what we wanted to do with WaniKani (and I think we succeed), but this new EtoEto wasn't going to have those same kinds of multiples. In the end it was still a textbook on the internet and relied too much on the users' motivation. So I was worried, but didn't have a solution. It was around six months ago that I became very interested in all kinds of audio-based learning hypotheses. As I studied this topic more, and talked to some really helpful and wonderful people (thank you, if you're reading this), I came to realize that I wanted EtoEto to focus on audio learning as well. EtoEto would be for speaking and listening, primarily, and the goal would be to get you to spoken Japanese fluency as quickly as possible. Trying to teach reading, speaking, and listening all at once was too much, and no matter what I tried it resulted in a mediocre product and experience. After a lot more research, thinking, and talking to people, I finally came up with a way to make EtoEto audio-based, as well as very unique when compared to other audio-based learning methods out there. 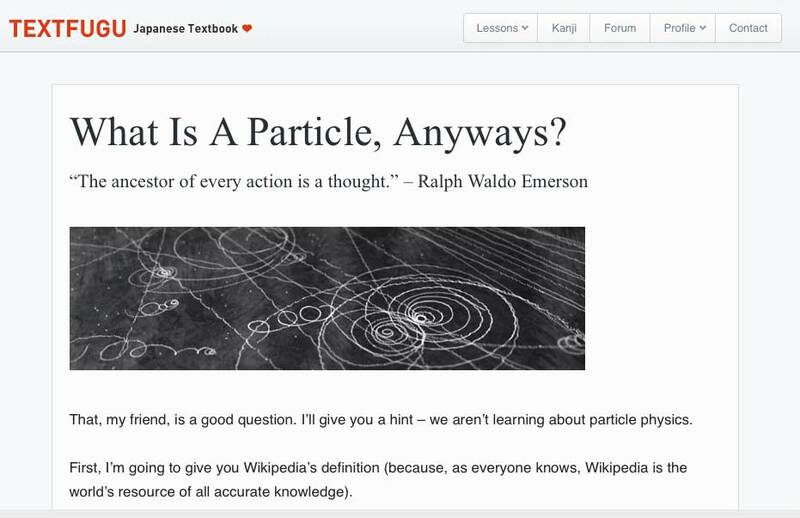 Once I figured this out, I had a tough decision to make: Stay on course with the online textbook version of EtoEto, or trash all that time and work to pivot EtoEto into something that I think will end up being much, much better. After much internal (and external) debate, I of course decided to go ahead with the pivot. I won't talk about it in a huge amount of detail right now, but here are the main points of where we're headed. Focus on speaking and listening. User merely needs to follow instructions, and they will learn Japanese (similar to that WaniKani feeling, when it comes to kanji). The KUMA section of EtoEto will probably remain the same, or similar, though. Right now, the plan is to still keep it the way it is as it's a good way for intermediate-to-advanced learners of Japanese to progress from those levels to fluency. A lot of the work (and it really was a lot of work) on ordering, as well as how many things were going to be taught, will make their way into the audio lessons, so not all is lost. There will be a lot of familiarity thanks to the work done on the "textbook" version of EtoEto, but still, it will be a very big change from the original format, which means delays. I know there have been so many of these (delays)–so many that I've learned to never offer an estimated release date for anything anymore–and I'm very sorry about that. As we work on this new version of EtoEto I'll try to be better and release more regular information so you can see progress is being made (half the problem is that I rarely show what I'm working on, so you are understandably upset when it looks like nothing is being done). Probably will mostly be on our EtoEto Twitter page. Many of you are still waiting for an invite to EtoEto's Alpha. Sometime this month, I'll make sure everyone gets invited to the current EtoEto. I think around 75% of all TextFugu Forever members have been invited already, but there are still quite a few folks who haven't. If you haven't gotten your invite by the end of the month (January 2017), and you purchased a TextFugu Forever account in 2016 or earlier, please email me at hello@etoeto.com. In addition to this, I'll increase the rate at which new people (who register in January 2017 and later) get invited too. This way you at least have the old "new" version of EtoEto while you wait for the next new version. The KUMA section, thanks to Kristen, is actually very, very full of content, good for intermediate to advanced learners. I recommend you check it out if you are interested in language shadowing. The third part of this puzzle is me admitting that I can't do all this by myself anymore, which has been really tough for me to do. With such an increase in administrative-type tasks, management, and creative work, I've been spread more and more thin with every year that goes by. Only in the last six months or so have I started trying to fix this. I'm sorry it took me this long, but I apparently have issues with delegating. I hired another full-time developer, a couple interns, and an executive editor to help with some of the things that were holding taking up a lot of my time. I've also created a new (and for the first time) "teacher" position at Tofugu, whose primary job will be to work on the new version of EtoEto, as well as write Japanese learning content for Tofugu. This position is currently open. If you think this may be you, or if you know somebody who this may be perfect for (perhaps your awesome but underpaid Japanese language classroom teacher or tutor? ), please take a look at our Japanese teacher application on our jobs page. Last of all, I'm really sorry. Again. I know it's been a really long road… Like, really long. Second only to Half Life 3, if we're keeping track of time spent waiting. I'm very sorry, and I hope you give us (and especially me) a chance to make thing right in 2017. It really has been an unreasonably long wait, and I'm so sorry to do this to everyone.